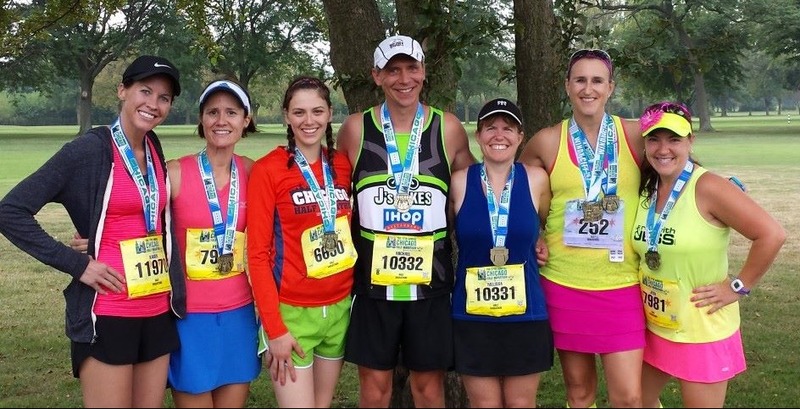 Chicago Half Marathon in Photos …. I’m finally starting to feel better, the soreness in my quads is dissipating and I’m starting to feel fresh again. I’ll try not to ruin that with speed work tonight! 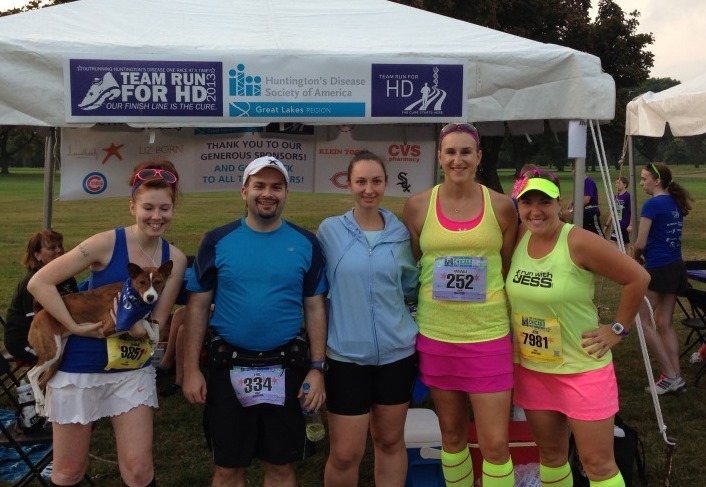 In the mean time, here are some additional photos from Sunday’s Chicago Half Marathon. Chicago Running Blogger Meetup – the LATE edition, most had already left by the time I arrived cuz I missed my super secret parking area and had to park with the masses. Jess & I looking fresh pre-race. Yes, she might be standing on a curb to try to be tall like me. No, I have no idea why my shirt is flipped up and looking crazy. The crowd waiting to start the race. If you look REALLY close, you will see TWO start banners. This was bit confusing, we crossed the 5K start banner first (and timing mat), some people started running, some people were confused, and a few of us knew that we still had a ways to go before our real race began. Jess and I were standing close to the 2 hour pacer but felt like we were all the way at the back. It took us 6 minutes to get to that far away start banner. The crowd thinned considerably when we hit Lake Shore Drive. As one blogger previously mentioned, the “out” part of this race is fun, lively and you can see the fasties coming back at you on this mostly out and back course; however, by the time YOU hit the other side, it seems like the “back” is FOREVER long. It’s boring. And everyone is hot, tired and just wants to be done. Then things just got hot and ugly on the way back to the finish. Derek managed to catch this keeper on film. No, I didn’t even have enough energy to lift my eyebrow to acknowledge him. Dead on my feet. 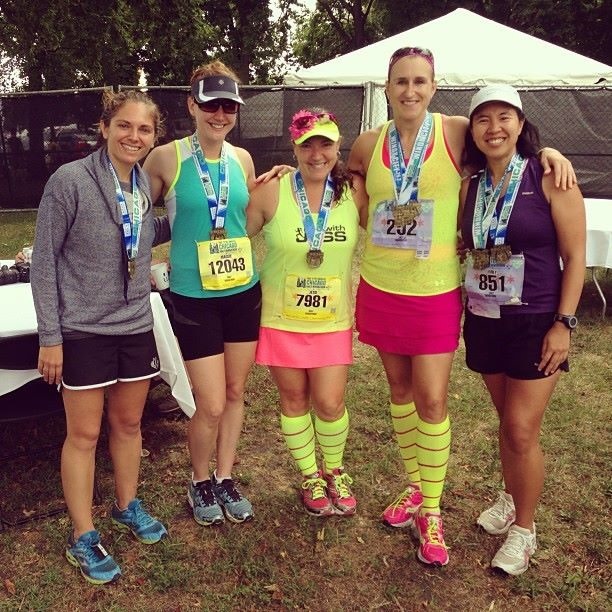 Finally, done; Jess and I wrung out our skirts headed to meet up with some run bloggers in the VIP tent. Lindsay, Maggie, Jess, Me & Emily. Then over to the CARA tent for one more blogger meet up. Karen, Penny, Jeannette, Mike, Melissa (Mike’s wife & my HS gal pal), Me & Jess. II was so happy to meet so many people. I always look forward to this event because it really draws a lot of amazing runners and bloggers. Can’t wait til next year! 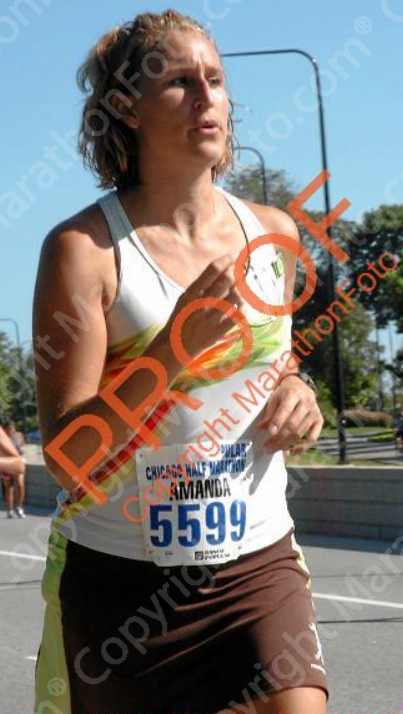 One last set of photos, my Chicago Half history via MarathoFoto: 2007, 2008, 2012 (5K) & 2013. 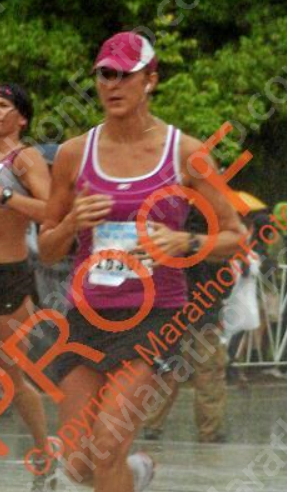 I think we can agree that I just don’t photograph well during a race. 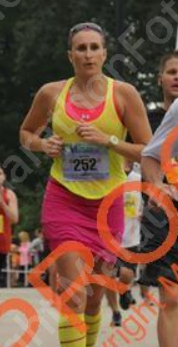 I’m not in pain in any of these photos, this just must be how I look when I run. 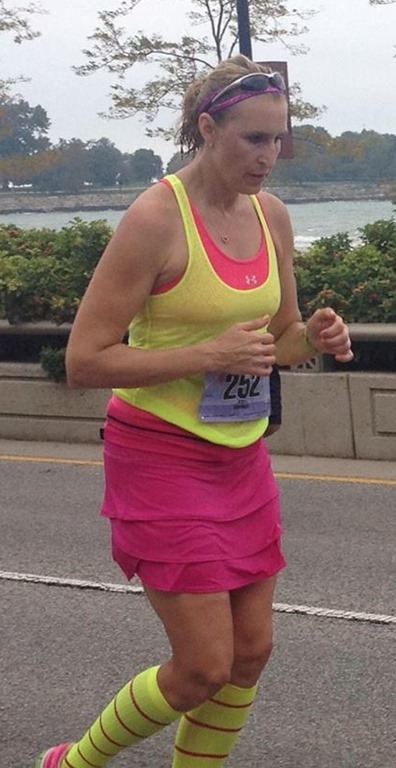 Running is rarely pretty, no matter how cute the outfit. This entry was posted in "Run"Way Fashion, Running and tagged Chicago Half Marathon, photos of Chicago Half Marathon, photos of running bloggers, running bloggers, what you will see at the Chicago Half Marathon by tootallfritz. Bookmark the permalink. 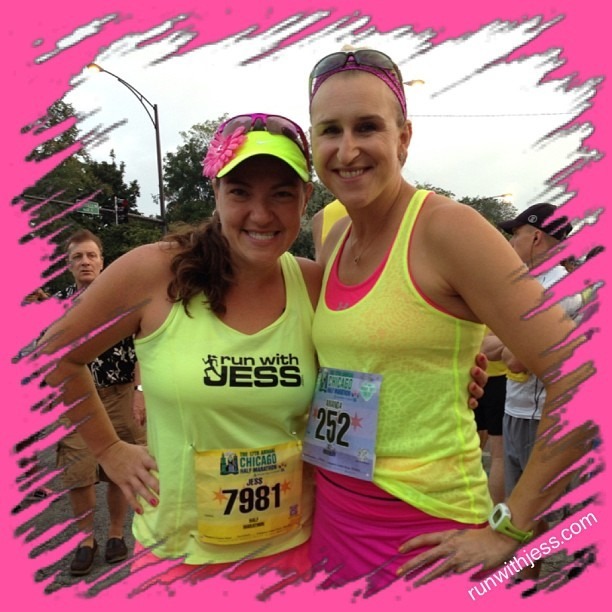 Hey…TTF…you fared pretty well with the conditions and kudos to you for looking to find Jess and finish together…total sisterdom! 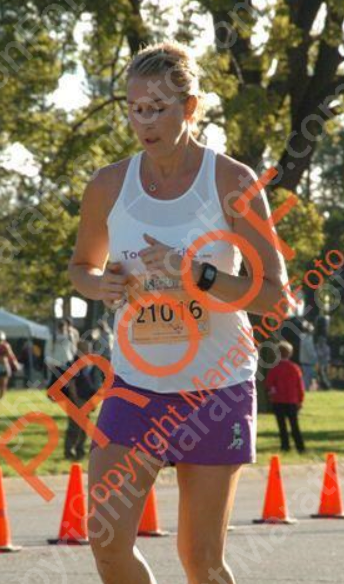 Actually I look at those pics end of post and they not bad…a look of daze is never a bad thing in a runner “focused” on enduring the distance to its culminating finish. 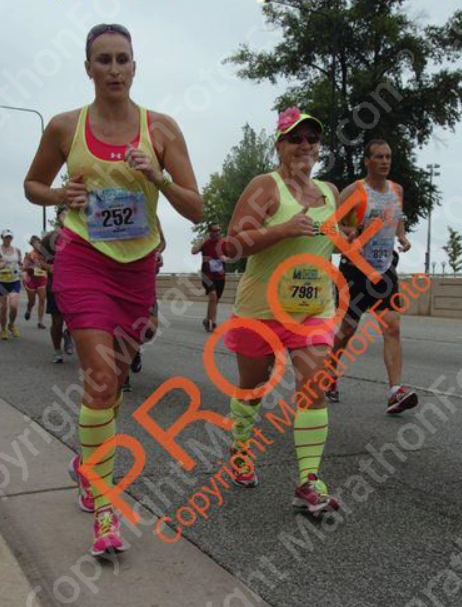 And…that last pic with you in pink and yellow-designer compression socks…looks pretty good…head upright…bearing down…maybe a little to much sideways rotation on arm swing for optimal performance…but head up high and back upright…that’s good after all those miles! One can always find the positive if one looks hard enough. You dig in deep to finish those races…now dig-in and start recognizing just how well you do in the grand scheme of running things! OK? I think I was running with you at some points throughout the race. I remember the bright outfits and loving them!!! Hard to miss our outfits! 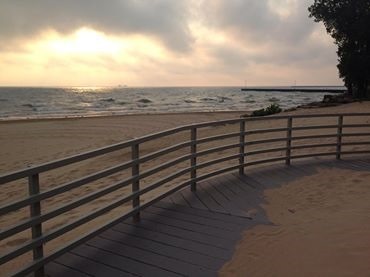 I hope you had an amazing race despite the humidity. Amanda, it was so good to see you this past Sunday! I absolutely LOVED the adorable matching outfits that you and Jess were wearing. It was really fun catching up with you at the VIP tent afterwards over the good food and drink.